As of February 2013, on the American National Library of Medicine alone, 142 eminent scientists from 8 nations have published 59 major GcMAF research papers, which can be viewed on the US Government’s Pubmed system. Serum vitamin D3-binding protein (Gc protein) is the precursor for the principal macrophage activating factor (MAF). The MAF precursor activity of serum Gc protein of breast cancer patients was lost or reduced because Gc protein was deglycosylated by serum -N-acetylgalactosaminidase (Nagalase) secreted from cancerous cells. Patient serum Nagalase activity is proportional to tumor burden. The deglycosylated Gc protein cannot be converted to MAF, resulting in no macrophage activation and immunosuppression. Stepwise incubation of purified Gc protein with immobilized -galactosidase and sialidase generated probably the most potent macrophage activating factor (termed GcMAF) ever discovered, which produces no adverse effect in humans. Macrophages treated in vitro with GcMAF (100 pg/ml) are highly tumoricidal to mammary adenocarcinomas. Efficacy of GcMAF for treatment of metastatic breast cancer was investigated with 16 nonanemic patients who received weekly administration of GcMAF (100 ng). As GcMAF therapy progresses, the MAF precursor activity of patient Gc protein increased with a concomitant decrease in serum Nagalase. Because of proportionality of serum Nagalase activity to tumor burden, the time course progress of GcMAF therapy was assessed by serum Nagalase activity as a prognostic index. These patients had the initial Nagalase activities ranging from 2.32 to 6.28 nmole/min/mg protein. After about 16-22 administrations (approximately 3.5-5 months) of GcMAF, these patients had insignificantly low serum enzyme levels equivalent to healthy control enzyme levels, ranging from 0.38 to 0.63 nmole/min/mg protein, indicating eradication of the tumors. This therapeutic procedure resulted in no recurrence for more than 4 years. 2. Prostate, Breast, Colon Cancer and Adult Leukaemia Patients on GcMAF. Therapeutic Effect of GcMAF on Prostate, Breast and Colon Cancer and Adult Leukemia Patients. The administration of GcMAF (100 and 500 ng/human) to healthy volunteers resulted in the greatly enhanced activation of macrophages as measured by the 7-fold enhanced phagocytic capacity and the 15-fold superoxide generating capacity of macrophages. The administration of GcMAF showed no signs of any side effects to the recipients. Administration of various doses (100 pg to 10 ng/mouse) to a number of mice produced neither ill effects nor histological changes in various organs including liver, lung, kidney, spleen, brain, etc. When patients with various types of cancer were treated with GcMAF (100 ng/week), remarkable curative effects on various types of cancer were observed. The therapeutic efficacy of GcMAF on patients bearing various types of cancers was assessed by tumor specific serum ?-N-acetylgalactosaminidase activity because the serum enzyme level is proportional to the total amount of cancerous cells (tumor burden). Curative effects of GcMAF on prostate, breast and colon cancer and leukemia are illustrated in FIGS. 8A to 8 D. After 25 weekly administrations of 100 ng GcMAF the majority (>90%) of prostate and breast cancer patients exhibited insignificantly low levels of the serum enzyme. A similar result was also observed after 35 GcMAF administrations to colon cancer patients. Similar curative effects of GcMAF on lung, liver, stomach, brain, bladder, kidney, uterus, ovarian, larynx, esophagus, oral and skin cancers were observed. Thus, GcMAF appeared to be effective on a variety of cancers indiscriminately. However, GcMAF showed no evidence of side effects in patients after more than 6 months of therapy. This was also confirmed by blood cell counts profile, liver and kidney functions, etc. Serum Gc protein (known as vitamin D3-binding protein) is the precursor for the principal macrophage activating factor (MAF). The MAF precursor activity of serum Gc protein of HIV-infected patients was lost or reduced because Gc protein is deglycosylated by -N-acetylgalactosaminidase (Nagalase) secreted from HIV-infected cells. Therefore, macrophages of HIV-infected patients having deglycosylated Gc protein cannot be activated, leading to immunosuppression.Since Nagalase is the intrinsic component of the envelope protein gp120, serum Nagalase activity is the sum of enzyme activities carried by both HIV virions and envelope proteins. These Nagalase carriers were already complexed with anti-HIV immunoglobulin G (IgG) but retained Nagalase activity that is required for infectivity.Stepwise treatment of purified Gc protein with immobilized -galactosidase and sialidase generated the most potent macrophage activating factor (termed GcMAF), which produces no side effects in humans. Macrophages activated by administration of 100 ng GcMAF develop a large amount of Fc-receptors as well as an enormous variation of receptors that recognize IgG-bound and unbound HIV virions.Since latently HIV-infected cells are unstable and constantly release HIV virions, the activated macrophages rapidly intercept the released HIV virions to prevent reinfection resulting in exhaustion of infected cells.After less than 18 weekly administrations of 100 ng GcMAF for nonanemic patients, they exhibited low serum Nagalase activities equivalent to healthy controls, indicating eradication of HIV-infection, which was also confirmed by no infectious center formation by provirus inducing agent-treated patient PBMCs. No recurrence occurred and their healthy CD + cell counts were maintained for 7 years. J. Med. Virol. 81:16-26, 2009. Serum Gc protein (known as vitamin D(3)-binding protein) is the precursor for the principal macrophage-activating factor (MAF). The MAF precursor activity of serum Gc protein of prostate cancer patients was lost or reduced because Gc protein was deglycosylated by serum alpha-N-acetylgalactosaminidase (Nagalase) secreted from cancerous cells. Therefore, macrophages of prostate cancer patients having deglycosylated Gc protein cannot be activated, leading to immunosuppression. Stepwise treatment of purified Gc protein with immobilized beta-galactosidase and sialidase generated the most potent MAF (termed GcMAF) ever discovered, which produces no adverse effect in humans. Macrophages activated by GcMAF develop a considerable variation of receptors that recognize the abnormality in malignant cell surface and are highly tumoricidal. Sixteen nonanemic prostate cancer patients received weekly administration of 100 ng of GcMAF. As the MAF precursor activity increased, their serum Nagalase activity decreased. Because serum Nagalase activity is proportional to tumor burden, the entire time course analysis for GcMAF therapy was monitored by measuring the serum Nagalase activity. After 14 to 25 weekly administrations of GcMAF (100 ng/week), all 16 patients had very low serum Nagalase levels equivalent to those of healthy control values, indicating that these patients are tumor-free. No recurrence occurred for 7 years. Serum vitamin D binding protein (Gc protein) is the precursor for the principal macrophage-activating factor (MAF). The MAF precursor activity of serum Gc protein of colorectal cancer patients was lost or reduced because Gc protein is deglycosylated by serum alpha-N-acetylgalactosaminidase (Nagalase) secreted from cancerous cells. Deglycosylated Gc protein cannot be converted to MAF, leading to immunosuppression. Stepwise treatment of purified Gc protein with immobilized beta-galactosidase and sialidase generated the most potent macrophage-activating factor (GcMAF) ever discovered, but it produces no side effect in humans. Macrophages treated with GcMAF (100 microg/ml) develop an enormous variation of receptors and are highly tumoricidal to a variety of cancers indiscriminately. Administration of 100 nanogram (ng)/ human maximally activates systemic macrophages that can kill cancerous cells. Since the half-life of the activated macrophages is approximately 6 days, 100 ng GcMAF was administered weekly to eight nonanemic colorectal cancer patients who had previously received tumor-resection but still carried significant amounts of metastatic tumor cells. As GcMAF therapy progressed, the MAF precursor activities of all patients increased and conversely their serum Nagalase activities decreased. Since serum Nagalase is proportional to tumor burden, serum Nagalase activity was used as a prognostic index for time course analysis of GcMAF therapy. After 32-50 weekly administrations of 100 ng GcMAF, all colorectal cancer patients exhibited healthy control levels of the serum Nagalase activity, indicating eradication of metastatic tumor cells. During 7 years after the completion of GcMAF therapy, their serum Nagalase activity did not increase, indicating no recurrence of cancer, which was also supported by the annual CT scans of these patients. 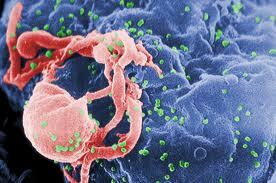 At http://www.gcmaf.se we have specialised in terminal cancer, but had two people with AIDS. GcMAF initially sent all their readings through the floor; it was quite frightening and we stopped supplying GcMAF to people with AIDS. It turned out there is a disease called IRIS that attacks the immune system the moment it tries to repair itself. After nearly 10 weeks the GcMAF appears to have overcome that, and they have now made sufficiently good progress that they are to be the subject of a research article published in April. Newly published research by scientists at the National Institute of Allergy and Infectious Diseases, part of the National Institutes of Health, sheds light on a poorly understood, acute illness called Immune Reconstitution Inflammatory Syndrome (IRIS) that develops in some HIV-infected individuals soon after they begin antiretroviral therapy. IRIS has become a notable challenge in treating HIV disease, particularly in resource-limited settings. The scientists hope that better understanding how and why the syndrome occurs will lead to targeted prevention or therapy. To find immunologic patterns that distinguish individuals who develop IRIS from those who do not, the researchers analyzed blood samples from HIV-infected individuals, focusing their analysis on a group of immune cells called T lymphocytes. Most of the studied patients had an AIDS-associated fungal, viral or bacterial infection before they started antiretroviral therapy. The analysis showed that the individuals who developed IRIS had a higher proportion of activated T cells before starting antiretroviral therapy compared with those who did not develop IRIS. These activated T cells had the propensity to make a key infection-fighting molecule called interferon gamma both before therapy began and during IRIS episodes, suggesting that the cells may participate in the exaggerated immune response seen during IRIS. In addition, the surface markers expressed by the T cells—some with a stimulatory effect and some restraining in nature—suggested they were highly activated as a result of an encounter with the microbes co-infecting the HIV-infected individuals. A companion study describes a new animal model that can be used to directly analyze the immunologic mechanisms that cause IRIS. This model employs mice infected with Mycobacterium avium, a pathogen frequently seen in HIV-infected individuals who develop IRIS. To mimic the immunologic condition of IRIS-susceptible HIV-infected individuals, the researchers began with mycobacterium-infected mice that had extremely low numbers of T cells. The scientists found that rebuilding the population of T cells in these mice, as usually occurs during antiretroviral therapy in humans, triggered an IRIS-like disease. In addition, the researchers observed that interferon-gamma production by the repopulating T cells in the mice clearly facilitated the development of experimentally induced IRIS. The study also implicated a type of immune cell known as a macrophage in sparking IRIS in the mice. Bone resorption by osteoclast cells is promoted by activated vitamin D-binding factor (GcMAF), thereby providing an effective treatment for osteopetrosis. Conversely, inflammation-mediated bone loss is inhibited with antibody against the activated factor, providing a treatment for inflammation-mediated osteolytic diseases such as osteoporosis, osteoarthritis, rheumatoid arthritis and periodontal disease. The antibodies are further utilized in an antigen binding assay for diagnosing inflammation-mediated bone loss. Summary. Since the discovery in 1977 that the GC1 gene could be resolved into two common subcomponents on an isoelectric focusing (IEF) gel, a large number of ethnic groups have been screened to analyze the extent of genetic variation in human populations. Using the IEF technique, approxi- mately 50,000 individuals from 160 different populations have been tested for the GC polymorphism. A marked variation in common GC suballele frequencies in different geographic areas seems to correlate with skin pigmentation and intensity of sun light. Pigmented (black) and keratinized (yellowish) skin type populations have a relatively high frequency of the GC*IF allele as compared to white skin populations. By com- parison non-pigmented and non-keratinized white skin popu- lations are generally characterized by having the maximum values of the GC*IS allele. The anthropologic significance of the GC locus has been enhanced further by detecting addi- tional unique GC variants which provide useful information about evolutionary links between different populations. How- ever, the presence of some electrophoretically identical unique variants in genetically and geographically distinct populations demand further investigation of these allelic var- iants to shed more light on their origins. BACKGROUND: Gc protein is the precursor for Gc protein-derived macrophage activating factor (GcMAF), with three phenotypes: Gc1f, Gc1s and Gc2, based on its electrophoretic mobility. The difference in electrophoretic mobility is because of the difference in its posttranslational sugar moiety composition. MATERIALS AND METHODS: We compared the difference between Gc protein and GcMAF electrophoretic mobility using the isoelectric focusing (IEF) method. The tumoricidal activity of GcMAF-treated macrophage was evaluated after coculture with L-929 cell. The tumoricidal mechanism was investigated using TNF bioassay and nitric oxide (NO) release. RESULTS: The difference in Gc protein and GcMAF electrophoretic mobility was detected. The tumoricidal activity of GcMAF-treated macrophage was detected, but no release of TNF and NO was detected. CONCLUSION: The difference of isoelectric focusing mobility in Gc protein and GcMAF would be useful to develop a GcMAF detection method. GcMAF increased macrophage tumoricidal activity but TNF and NO release were not involved in the mechanism. Background: The vitamin D3-binding protein (Gc protein)-derived macrophage activating factor (GcMAF) activates tumoricidal macrophages against a variety of cancers indiscriminately. We investigated whether GcMAF also acts as an antiangiogenic factor on endothelial cells. Methods: The effects of GcMAF on angiogenic growth factor-induced cell proliferation, chemotaxis, and tube formation were examined in vitro by using cultured endothelial cells (murine IBE cells, porcine PAE cells, and human umbilical vein endothelial cells [HUVECs]) and in vivo by using a mouse cornea micropocket assay. Blocking monoclonal antibodies to CD36, a receptor for the antiangiogenic factor thrombospondin-1, which is also a possible receptor for GcMAF, were used to investigate the mechanism of GcMAF action. Results: GcMAF inhibited the endothelial cell proliferation, chemotaxis, and tube formation that were all stimulated by fibroblast growth factor-2 (FGF-2), vascular endothelial growth factor-A, or angiopoietin 2. FGF-2-induced neovascularization in murine cornea was also inhibited by GcMAF. Monoclonal antibodies against murine and human CD36 receptor blocked the antiangiogenic action of GcMAF on the angiogenic factor stimulation of endothelial cell chemotaxis. Conclusions: In addition to its ability to activate tumoricidal macrophages, GcMAF has direct antiangiogenic effects on endothelial cells independent of tissue origin. The antiangiogenic effects of GcMAF may be mediated through the CD36 receptor. The vitamin D binding protein, Gc globulin, has in recent years received some attention for its role as precursor for the extremely potent macrophage activating factor (GcMAF). An O-linked trisaccharide has been allocated to the threonine residue at position 420 in two of the three most common isoforms of Gc globulin (Gc1s and Gc1f). A substitution for a lysine residue at position 420 in Gc2 prevents this isoform from being glycosylated at that position. It has been suggested that Gc globulin subjected sequentially to sialidase and galactosidase treatment generates GcMAF in the form of Gc globulin with only a single GalNAc attached to T420. In this study we confirm the location of a linear trisaccharide on T420. Furthermore, we provide the first structural evidence of the generation of the proposed GcMAF by use of glycosidase treatment and mass spectrometry. Additionally the generated GcMAF candidate was tested for its effect on cytokine release from macrophages in human whole blood. 13. GcMAF Enhances Fc-receptor Mediated Rosette Formation but Hardly Affects Superoxide Production in Human Monocytes. GcMAF has been reported as a potent macrophage activating factor derived from serum Gc protein (Gc globulin). We compared the effects of GcMAF with those of IFN-.GAMMA. on the morphology, superoxide production and Fc-receptor mediated rosette formation of human monocytes from peripheral blood. As a result, monocytes stimulated by GcMAF showed hardly any effects on morphological changes and superoxide production, but enhanced Fc-receptor mediated rosette formation. On the other hand, treatment of monocytes with IFN-.GAMMA. increased adherent cells and induced morphological changes. Therefore, superoxide production per cell protein of adherent monocytes treatment with IFN-.GAMMA. was significantly decreased, and slight effects were observed on Fc-receptor mediated rosette formation. These results indicate that effects of GcMAF on human monocytes were different from those of IFN-.GAMMA. Alpha-N-acetyl galactosaminidase (alpha-NaGalase) has been reported to accumulate in serum of cancer patients and be responsible for deglycosylation of Gc protein, which is a precursor of GcMAF-mediated macrophage activation cascade, finally leading to immunosuppression in advanced cancer patients. We studied the biochemical characterization of alpha-NaGalase from several human tumor cell lines. We also examined its effect on the potency of GcMAF to activate mouse peritoneal macrophage to produce superoxide in GcMAF-mediated macrophage activation cascade. The specific activity of alpha-NaGalases from human colon tumor cell line HCT116, human hepatoma cell line HepG2, and normal human liver cells (Chang liver cell line) were evaluated using two types of substrates; GalNAc-alpha-PNP (exo-type substrate) and Gal-beta-GalNAc-alpha-PNP (endo-type substrate). Tumor-derived alpha-NaGalase having higher activity than normal alpha-NaGalase, had higher substrate specificity to the exo-type substrate than to the endo-type substrate, and still maintained its activity at pH 7. GcMAF enhance superoxide production in mouse macrophage, and pre-treatment of GcMAF with tumor cell lysate reduce the activity. We conclude that tumor-derived alpha-NaGalase is different in biochemical characterization compared to normal alpha-NaGalase from normal Chang liver cells. In addition, tumor cell-derived alpha-NaGalase decreases the potency of GcMAF on macrophage activation. Serum alpha-N-acetylgalactosaminidase (NaGalase) is responsible for the deglycosylation of vitamin D(3)-binding protein (Gc protein). The deglycosylated Gc protein cannot be converted into major macrophage-activating factor (MAF), leading to immunosuppression. NaGalase is universally detected in a variety of cancer patients, but not in healthy individuals (Cancer Res. 56 (1997) 2827-2831). However, the diagnostic/prognostic utility of NaGalase in squamous cell carcinoma (SCC) of the uterine cervix is not known. To address this issue, the serum NaGalase was quantitatively determined in 210 patients with different stages of SCC of the uterine cervix. NaGalase levels were increased with the progression of the cancer. After radiotherapy, the increased levels returned toward or to normal levels in early stages (FIGO stage I-IIB) but not in advanced stages (FIGO stage III-IV). The present study revealed that the amount of NaGalase in the patient’s bloodstream reflects the tumor burden and aggressiveness of the disease. We conclude that NaGalase is an independent predictor of diagnosis/prognosis in SCC of the uterine cervix, and therefore suggest that quantitative NaGalase alteration may reflect important differences in the immunological functions of these neoplasms. Cancerous cells secrete ?-N-acetylgalactosaminidase (NaGalase) into the blood stream, resulting in deglycosylation of serum vitamin D3-binding protein (known as Gc protein), which is a precursor for macrophage activating factor (MAF). Incubation of Gc protein with immobilized ?-galactosidase and sialidase generates the most potent macrophage activating factor (designated GcMAF). Administration of GcMAF to cancer-bearing hosts can bypass the inactivated MAF precursor and act directly on macrophages for efficient activation. Therapeutic effects of GcMAF on Ehrlich ascites tumor-bearing mice were assessed by survival time and serum NaGalase activity, because serum NaGalase activity was proportional to tumor burden.A single administration of GcMAF (100 pg/mouse) to eight mice on the same day after transplantation of the tumor (5 × 105 cells) showed a mean survival time of 21 ± 3 days for seven mice, with one mouse surviving more than 60 days, whereas tumor-bearing controls had a mean survival time of 13 ± 2 days. Six of the eight mice that received two GcMAF administrations, at Day 0 and Day 4 after transplantation, survived up to 31 ± 4 days whereas, the remaining two mice survived for more than 60 days. Further, six of the eight mice that received three GcMAF administrations with 4-day intervals showed an extended survival of at least 60 days, and serum NaGalase levels were as low as those of control mice throughout the survival period. Microbial infection causes inflammation which stimulates macrophage functions. One of the inflammatory products, lysophosphatidylcholine (lyso-Pc), can stimulate macrophage activities. Treatment of mice with lyso-Pc enhanced spreading and ingestion activities of peritoneal macrophages. In vitro treatment of macrophages with lyso-Pc greatly enhanced spreading but not ingestion activities. However, incubation of a mixture of adherent and nonadherent cells with lyso-Pc produced a markedly enhanced ingestion activity of macrophages, implying the contribution of nonadherent cells to the stimulation of macrophages. Time course studies of the stimulation of these macrophages showed that spreading activity is stimulated immediately, even 30 min, after their contact with lyso-Pc while induction of ingestion activity requires a latent period of about 5 h. When the specificity of the macrophage receptors for ingestion was analyzed using defined immunoglobulins (i.e., IgG and IgM) with or without complement, lyso-Pc-activated macrophages efficiently ingested IgG-coated sheep erythrocytes independent of complement. However, macrophages of the same lyso-Pc-treated mice did not ingest erythrocytes coated with IgM and complement. These observations suggest that lyso-Pc-stimulated macrophages ingest the targets via Fc-receptors but not C3b receptors.